The robotic head smiles at the passenger and greets them: “My name is FRAnny. How can I help you?” FRAnny is an expert on Frankfurt Airport, and is able to answer a wide range of questions – including the correct gate, the way to a specific restaurant, and how to access the free Wi-Fi. Fraport and Deutsche Bahn have been jointly exploring the potential of artificially intelligent, voice-based customer service systems since 2017. The first pilot took place at Frankfurt Airport in spring 2018 using FRAnny’s predecessor: the four-week field trial was very successful. After approximately 4,400 interactions, 75 percent of passengers rated their exchange positively. Based on the feedback received, both the artificial intelligence (AI) component and the robot’s user interface were further improved. The more recent trial underscores both companies’ commitment to ongoing innovation in artificial intelligence and robotics. Moreover, it puts the implemented improvements through their paces under real-world conditions. Hotel de Parc, in the Swiss city of Baden, 25km northwest of Zurich, will be rebranded as Swiss-Belhotel Du Parc, Baden, following the signing of a management agreement with the hotel’s owner, Hotel du Parc Baden AG of Baden. This is the inaugural property in Switzerland. for Swiss-Belhotel. “For more than 30 years, Swiss-Belhotel International has successfully blended Swiss professionalism with Asian warmth in destinations across the globe. We are now delighted to introduce our truly unique brand of global hospitality to guests in Switzerland. Swiss-Belhotel Du Parc, Baden is an exceptional hotel that has already established itself as the leading destination for travelers in this captivating city,” said Gavin M. Faull, Chairman, and President of Swiss-Belhotel International. “Hotel du Parc AG is the perfect partner, combining in-depth local market knowledge and best-in-class operating practices. We look forward to working with them and bringing this impressive property into an exciting new era of international hospitality,” he added. Named after the German word for “baths”, Baden is a charming city nestled in the Limmat Valley, in the Canton of Aargau, not far from the Swiss-German border and only 20 minutes from Zurich. It’s mineral hot springs have been famous since Roman times and the city is now a Swiss Heritage Site with several impressive landmarks, including the ruins of Stein Castle which date from the 12th Century. 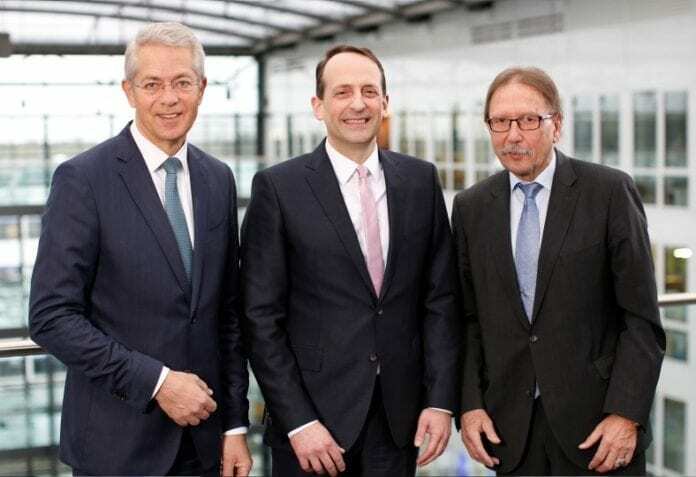 In its meeting today (Thursday, March 14), Fraport AG’s supervisory board appointed Dr. Pierre Dominique Prümm to the company’s executive board, effective July 2019. Prümm will take over board responsibility for Fraport’s “Airside and Terminal Management, Corporate Safety and Security” strategic business unit and the “Corporate Infrastructure Management” service unit. The Fraport Group is committed to further growth, both at its Frankfurt Airport home base and internationally. In the long and medium term, the Group intends to grow the share of revenue gained from its worldwide activities to 50 percent. Weimar added: “Our international activities, which remain under the responsibility of CEO Dr. Schulte, will play an increasingly important role for Fraport’s business.” In addition to the “Global Investment and Management” unit, Schulte’s board responsibilities will continue to include the “Airport Expansion South” unit, as well as the “Corporate Development, Environment and Sustainability” and “Corporate Communications” units. Because digital transformation has become a decisive factor in all business segments, expertise in this area will be bundled in a new “Digitization and Innovation Management” department. The new organizational unit will be under the responsibility of executive board member Anke Giesen, who will also serve as Fraport’s Executive Director Retail & Real Estate. Giesen will continue to have board responsibility for Fraport’s “Retail and Properties” unit, as well as the “HR Top Executives” and “Legal Affairs and Compliance” units. Furthermore, the “Information and Telecommunications” unit has been newly assigned to her. Executive board member Michael Müller, who is also Fraport’s Executive Director Labor Relations, will be assigned board responsibility for the new “Cargo and Logistics Management” unit. Three other units continue reporting directly to Müller: “Ground Services”, “Human Resources” and “Internal Auditing”. Fraport’s Executive Director Controlling and Finance (CFO), Dr. Matthias Zieschang, will have board responsibilities for the following units: “Integrated Facility Management”, “Central Purchasing and Construction Contracts”, “Controlling”, “Finance and Investor Relations”, and “Accounting”. Alexander Laukenmann will assume Dr. Prümm’s responsibilities as Senior Executive Vice President of the “Airside and Terminal Management, Corporate Safety and Security” unit. Previously holding the position of General Manager at Hamburg Airport, Laukenmann is returning to Fraport AG and Frankfurt Airport, where he was employed in various positions from 2000 to 2016. Dr. Pierre Dominique Prümm, who is 45, joined Fraport on June 1, 2006, as head of the “Corporate Strategy” division within the former “Marketing, Corporate Strategy and Committees” department. On January 1, 2007, this function was integrated into the new “Corporate Strategy” unit, reporting directly to Fraport’s executive board chairman. Following a major reshuffle of the company’s executive structure on October 1, 2010, the “Corporate Strategy” unit became part of the new “Corporate Development” unit headed by Prümm as Senior Vice President. On October 1, 2012, Prümm became Senior Executive Vice President of the “Airside and Terminal Operations, Corporate Safety and Security” unit, before advancing to the position of Fraport AG’s General Manager Aviation on April 1, 2018. Prümm holds a Doctorate in Economics, as well as university degrees in business administration and political sciences. Before joining Fraport AG, he was a member of the managing board of Flughafen Hannover-Langenhangen GmbH, the company that runs Hanover Airport. Prior to this, Prümm held managerial positions at Start Amadeus GmbH and Kienbaum Management Consultants GmbH.